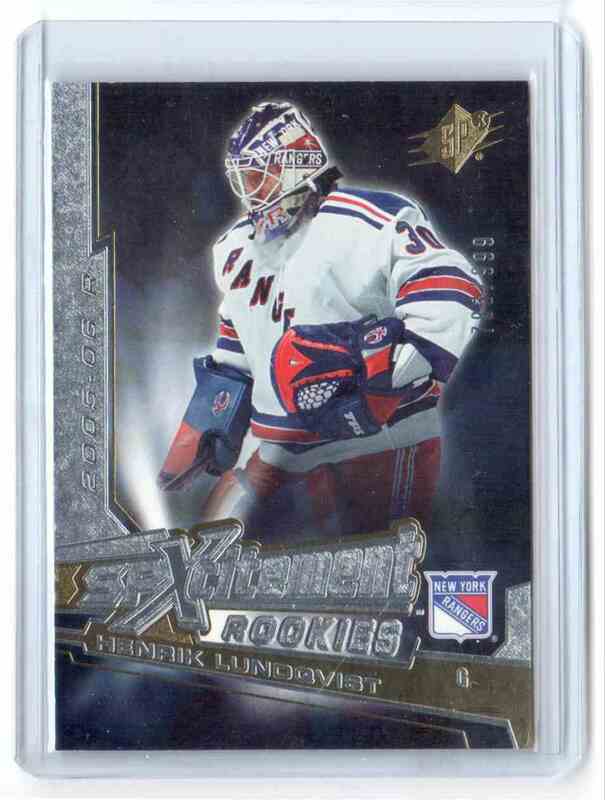 This is a rookie Hockey trading card of Henrik Lundqvist. 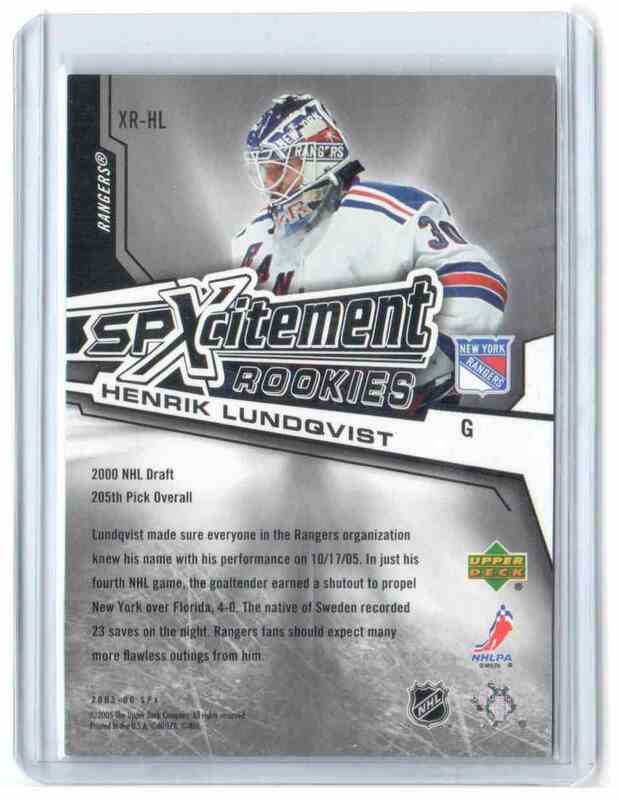 It comes from the 2005-06 SPx Xcitement Rookies set, card number XR-HL, serial numbered 783/999. It is for sale at a price of $ 6.95.